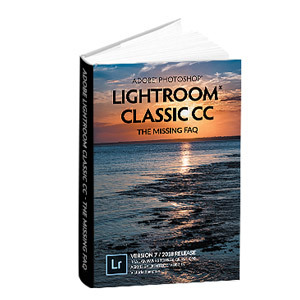 What's New in this Lightroom Release > Lightroom Classic Updates > What’s New in Lightroom CC 2015.9 / 6.9? There’s better error reporting for sync errors. If you click on the Sync Status in the Identity Plate, it opens the Sync Progress section of the Preferences dialog. If you click on some errors, it even displays a possible cause. Lightroom mobile for iOS and Android were also both updated yesterday, adding raw HDR capture on both operating systems (specific devices only) and local adjustments on Android too. You can read more about the changes here. No new camera tethering this time. FIXED – iOS Live Photos caused the JPEG to be treated like an XMP sidecar file. FIXED – Unable to import compressed raw files from Fujifilm XT­2 and X­Pro2. 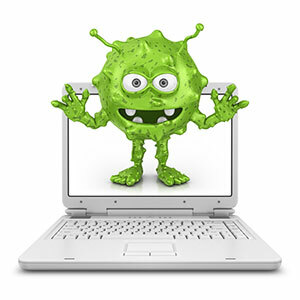 FIXED – On Windows, backup fails with a permissions error for specific catalogs. FIXED – On Mac, catalog backup complains that the catalog is more than 4GB (false error message). FIXED – The X key doesn’t work correctly in some non-English languages. FIXED – Instead of deleting currently selected photo, it deletes face tag from previous viewed photo. FIXED – The zoom does not work properly when a smart preview is zoomed for the first time. FIXED – The Tone Curve doesn’t work correctly in specific circumstances. (Some tone curve bugs are still open). FIXED – Upright error where the “Update” button was incorrectly enabled when Upright is unable to find a correction. FIXED – Lens Profile Auto Matching was not working for Zeiss Batis 85mm lenses. FIXED – Cursor movements on Point Curves were erratic. FIXED – Develop Module Locked after deleting images while using two displays. FIXED – Unable to change the image after deleting a rejected photo in develop module. FIXED – Images from Canon EOS G7X MK II sometimes had a green color cast. FIXED – Edit in Photoshop CC 2017 doesn’t return JPEGs to original folder. FIXED – Panorama sort order was less than ideal. FIXED – Export was taking longer than previous version. FIXED – Zoom to Fill then to Full Screen Mode crashes Lightroom on Mac retina displays. FIXED – Issue related to abnormal Lightroom exit when using Full Screen mode (Mac OS 10.12 Sierra only). The black panels bug on macOS is still under investigation, but there is a workaround. Very good to meet you the other day and able to tell you in person how much I appreciate what you do here. As you predicted, the LR update was not far off. One oddity – you list the ‘Panels turning black issue ‘ as fixed above – but if you click the link, it takes you to a comment by an Adobe guy just a few hours ago saying ‘sorry not fixed yet’. Do you know which is correct? It was great to meet you too Paul! The panels turning black was originally listed on the fixed list, and then taken off just before release (but I was out babysitting my niece, so couldn’t update the blog post immediately). In theory, it shouldn’t be triggered quite so easily now, but isn’t properly “fixed” yet. And I can confirm it’s not fixed – just had the black panels again! Ah, it was just because I added the link before it went live, so the blog software thought it was a broken link. Even when they’re crossed through, they’re worth trying just in case they’ve gone live since they were last scanned. Found in: Peter Lowe’s Ad and tracking server list . If I can report a new bug here as I cannot use the report a bug because of the above. Since the latest update to Lightroom 6.9 there is now a fault with the White Balance values in Develop mode. Now when importing a raw canon file (EOS 5D Mark IV) and selecting Develop the White Balance value is not being set. On import the white balance value is not set to any value and you have to select Auto on white balance to get it to activate the white balance slider and show white balance values. Thanks for the news. Is there somewhere i can access the changes since 5.7? I’m still on standalone 5.7 and i see we’re up to 6.9. Using the “Mac” link you provided, the update fails on both of my machines. Error Code: U44M2P7 on one and U44M2P28 on the other. Suggestions? Thanks, Victoria. The re-install on one machine was problematic, but I got it straightened out and all is well, now. I have a perpetual license for 6.0 (not cc). I downloaded and installed what appears to be the update from 6.7 -> 6.9. But when closing LR6 and restarting computer, the HELP/about screen still shows 6.7. 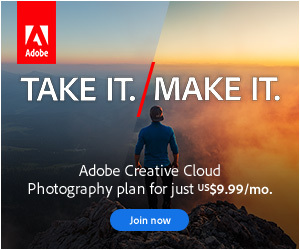 Is the update for Creative Cloud only? No, the update should work for perpetual too. Make sure LR is closed, then try installing the update again… do you get any kind of error message?